The Allgau area is famous for its skiing for all levels of skier, all within easy travelling distance of NOCG. NOCG provides all equipment, instruction and ski passes for local areas. All participants will undertake a Distributed Training Course (DT) Ski Foundation 1, 2 or 3 depending on the ability of the individual. Ski Foundation 1 (SF1) For the novice skier we will teach you to Alpine ski with the aim of achieving the Ski Foundation. A basic introduction to skiing and equipment. 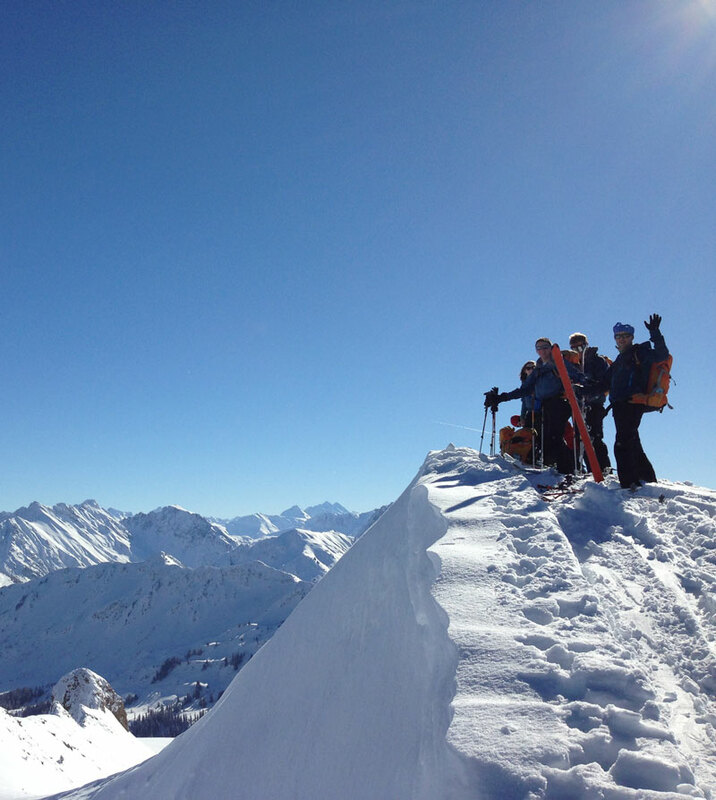 Ski Foundation 2 (SF2) Intermediate skiers will undertake the SF2 course, this will further advance your skiing ability whilst spending some time off-piste with a brief introduction to ski touring. Ski Foundation 3 (SF3) Experienced skiers will undertake the SF3 course. The majority of this course is spent off-piste ski touring, exploring the local mountains and learning about mountain hazards, navigation and weather interpretation. Touring is your opportunity to experience the wilds of the Bavarian Alps and is a pre-requisite for Joint Service Ski Instructor awards.